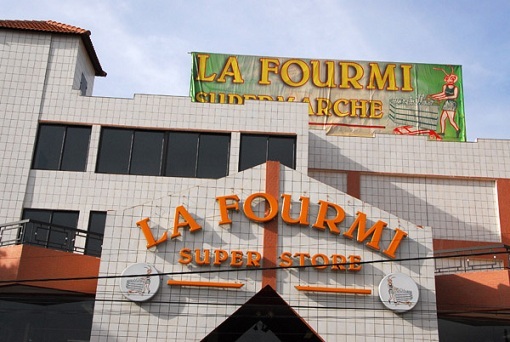 Visit Rob’s favourite supermarket: La Fourmi. 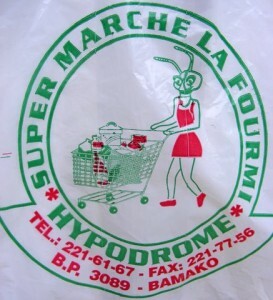 Translated into English, la fourmi means the ant – a curious choice for a supermarket, but I guess they’re hard-working insects who are good at storing stuff away. 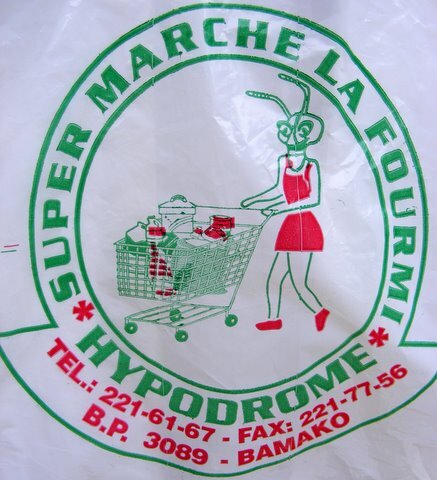 Here’s one of their shopping bags, depicting a female ant pushing a shopping trolley (sureal!). 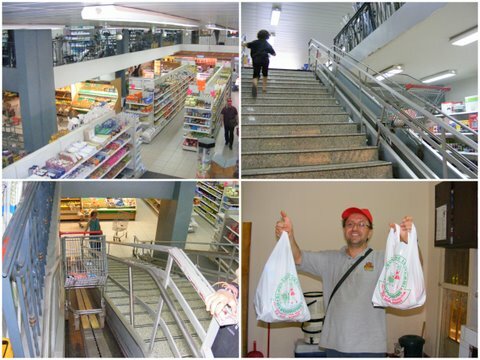 Inside, there are two storeys packed full of all kinds of goods: groceries, electronics, clothing, kitchenware, toys, magazines. Right now, they also have plenty of Christmassy bits – trees, tinsel, chocolate etc. Yum! Prices are not particularly lower than other supermarkets, but there is a lot of variety and sometimes you can pick up great bargains (some of which are blogged about here). One of the coolest things (which my kids love too) is the “trolley escalator” which takes your trolley up to the next floor (and down again) without spilling any of its contents. Nice! Buy some nems and eat them! 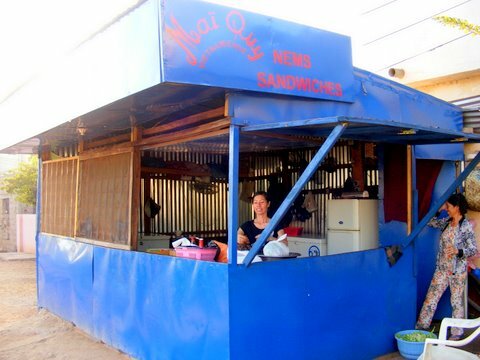 It seems rather surprising that there would be any Vietnamese in a place like Mali (they certainly couldn’t have got here by boat all those years ago). But for whatever reason they are here and we’re very grateful, because their nems are both delicious and cheap! 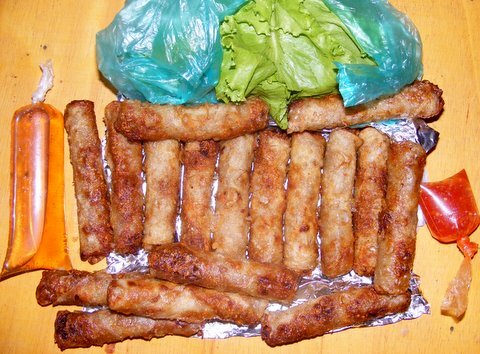 Four large nems for 1,000cfa – that works out at about 35p each. You also get light soy sauce, chili and lettuce leaves (we eat them and have never knowingly got sick from them). 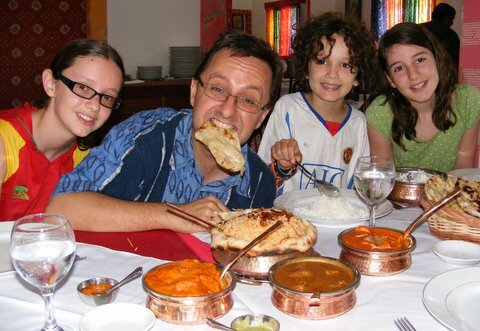 We find four each is plenty (maybe 2 or 3 for the kids), so the whole family can eat for around six quid – bargain! According to this article (in French), the first nem stall started up only in 2007. By early 2009, there were twelve in the city (see this article) and I wouldn’t be surprised if there were even more by now. So, you are never far from a nem stall, wherever you are in town. Add to this that the nems are delicious and that you get friendly service, then it’s an all round win-win situation! 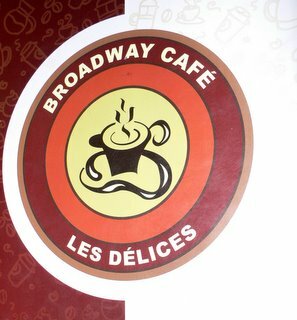 Also, if you order enough, most places stick in an extra nem or two as a cadeau. Fantastic! 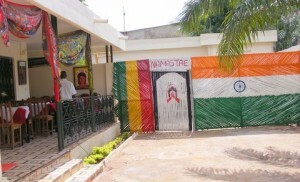 Here’s another French article about nems and how much the Bamakois love them. Not just those from Bamako though, eh? 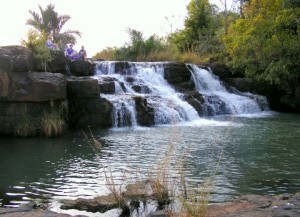 A beautiful place for a relaxing day out and a picnic, I’m sure you’ll agree. We call it “Waspy Waterfall” because Tim (the ‘map man’) once got attacked by a swarm of the instects there and lost his glasses in the process!! 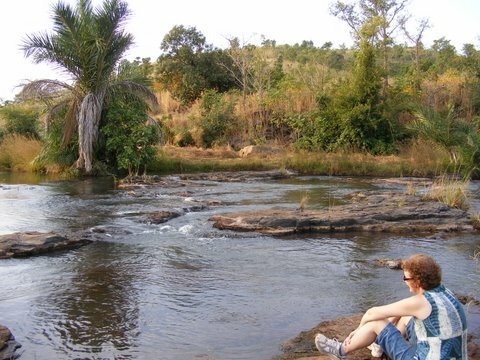 The journey there is an ‘interesting’ one and should only be attempted in a four-wheel-drive vehicle, as it also includes two river crossings. The lower section of the falls has some tricky climbing (as well as wasps/bees), but the upper falls are calmer and our kids even had a paddle! To get there is a bit tricky but, basically, you carry on along the same valley from the horse monument, fording the river to the right side (ie the ‘left bank’), then back over again a while later. Not far after the 2nd crossing, you will see the waterfalls on your right. 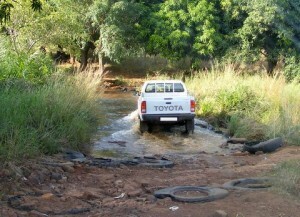 Although it’s only about 9km off road, it took us around 45 minutes as the terrain is a bit rough! Finally, click here to see my Facebook photos of the falls (as well as another waterfall in Siby), and here to see Tim’s pictures (including an impressive one during rainy season). 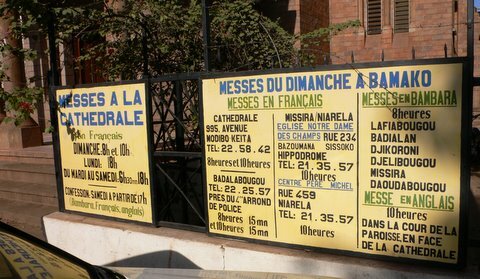 Yes, Bamako has a Catholic cathedral, right in the middle of town. Now, if you’re thinking Durham, York or Cantebury, you’ll be sorely disappointed, but it’s still quite interesting to look at, in a parish-churchy kind of way. Right on the edge of the market, the cathedral is also a handy landmark for finding your way through the crowds. 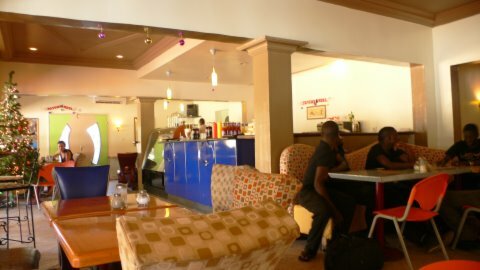 The interior is calm, clean and cool; the exact opposite to the market itself. 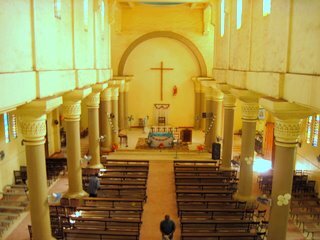 Here’s the cathedral from above, once again thanks to Google Maps. If you’re crossing the Old Bridge coming towards town, you can actually see the cathedral tower straight ahead, although getting there by car is a bit more tricky due to one way streets! 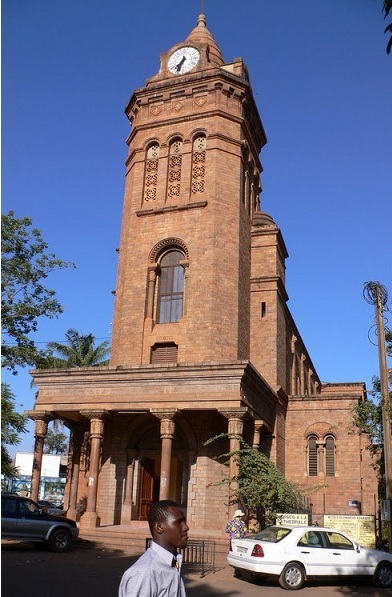 Located right next to the Parc National, this museum is certainly worth a visit. 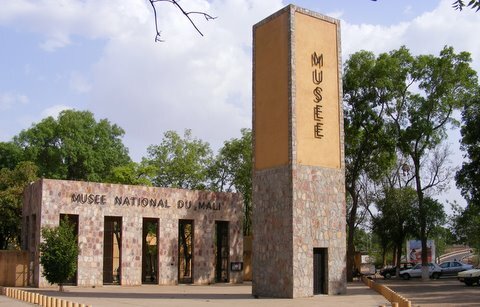 There are temporary exhibitions which come and go, and some permanent ones (archeological bits, Dogon artifacts, textiles) The whole thing is air-conditioned, so it’s a good choice in the middle of a hot day (of which Mali has many). 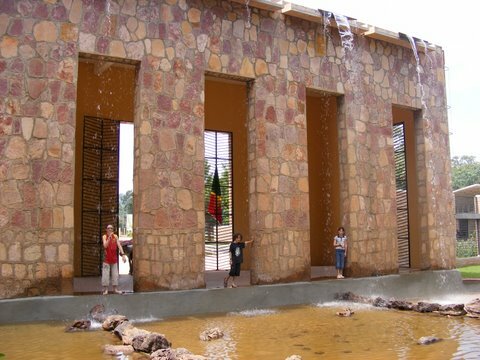 The entrance is unique, with mini ‘waterfalls’ flowing down from the roof – thankfully you don’t have to walk underneath these to get in. 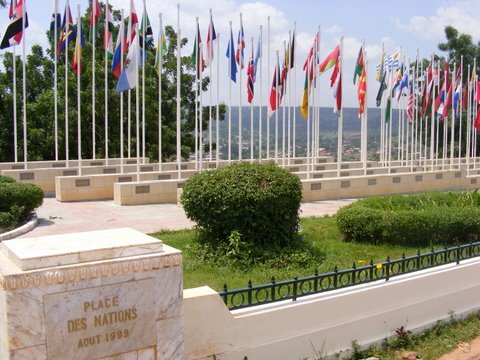 The entrance fee is 2,500cfa for adults (about £3.50) but only 200 francs for kids. I’ve been told there’s one day a month when entry is free, but I haven’t managed out when (or if this is indeed still the case). 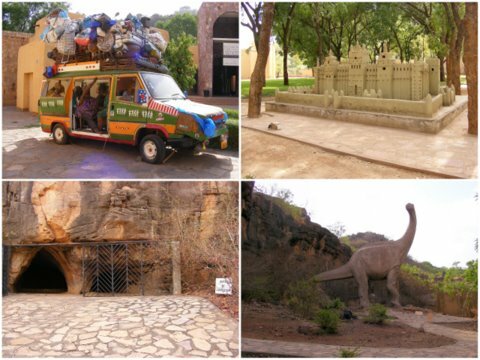 Across the road from the museum are some interesting caves (don’t get too excited, they’re also very small) and a model dinosaur – I have no idea why, but there it is! 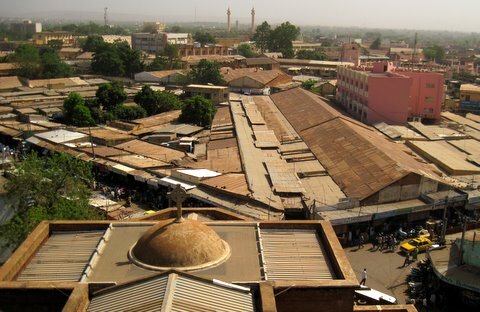 There are also small models of Malian mosques and the like as well as a life-sized sotrama with too much luggage on the roof! Click here for an excellent site (in French) describing the museum in detail (beware of the scary noises, though!) Also, you can read wikepedia entries about the museum here: in English and in French. Have a good trip! It’s a pleasant drive up the hillside from the city and a great view from the top as well. 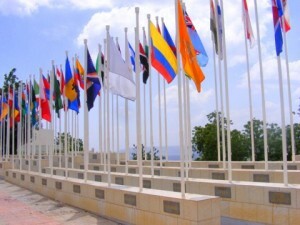 Now, the flags are not always flying, so you may be disappointed on this account. 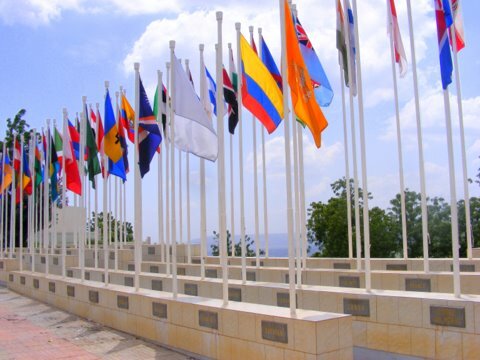 However, there are well over 100 flags from all over the world when they are up, so you can have fun looking round them all and guessing the countries! 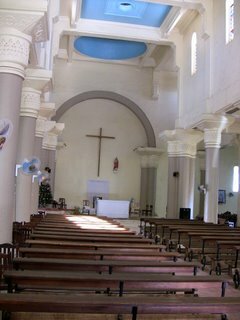 It’s very quiet and peaceful up there and you can even sit in the gardens and have a rest. Now, we did find that some of the flags were on the wrong poles for their labels, but finding these is part of the fun trip, right?! Oh, and Poland was actually displayed as Indonesia (as it was upside down). Other vexillophiles will understand this, are you one? 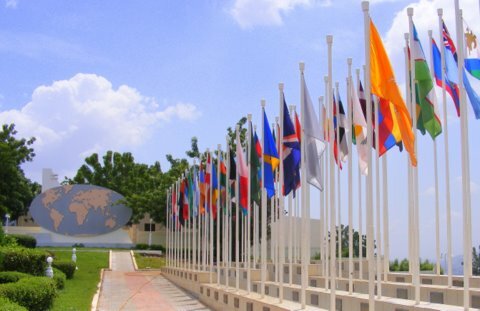 Let’s here it for flag-lovers everywhere! 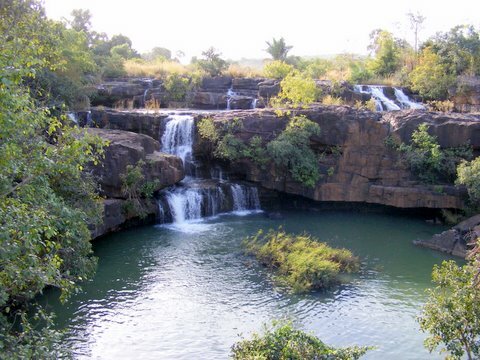 Visit the AMAZING, newly-opened, 42 acre ‘Parc National du Mali’. We did so last weekend and it is well worth the effort/money (1,500cfa entry for adults, 1,000 for kids under 12). I must say I had to ‘pinch myself’ more than a couple of times; somewhere as well turned-out, as peaceful and as naturally beautiful is often hard to come by in West Africa (described by one friend of mine as “one big rubbish dump”). 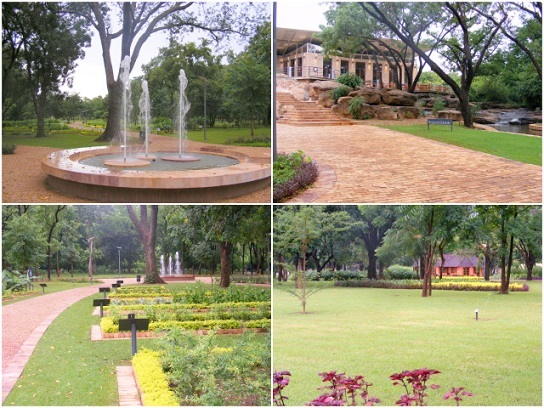 Not only are their neatly-gravelled paths, fountains, waterfalls and a wide range of trees and shrubs (including a herb garden); the park also includes a tea room, a café and a very posh restaurant! Then there’s a sports centre and various keep fit apparatus around the park too! See the full speech transcript here. I also put a load more photos on Facebook (visible to all), so click here to see the album of 24 photos, showing the beauty of this park in more detail. Meanwhile, what are you waiting for? 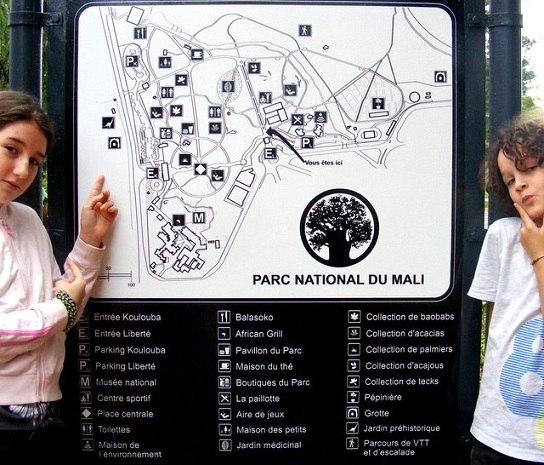 Take a picnic and have a fun family day out at the Parc National du Mali! Go and see a man upon a horse! 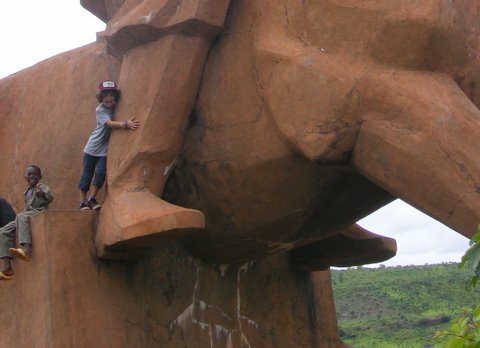 Yes, it’s a fun outing to the monument and a steep but short climb to the top of the hill. From the top, you get an impressive view of the valley and the Bamako suburbs. 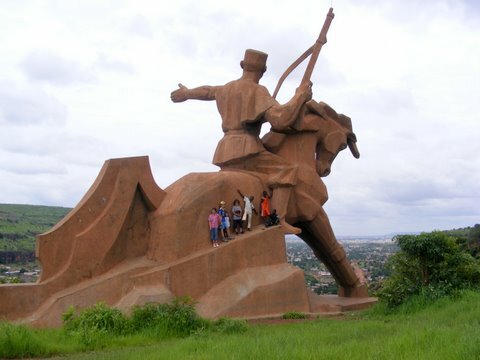 To get there, head south over the New Bridge from the airport side, and then turn Westwards, over the ‘echangeur’ and onto the new road towards Guinea. When this road comes to a major junction (with a couple of petrol stations) head straight across, pass some cliffs to your left, and then turn left. 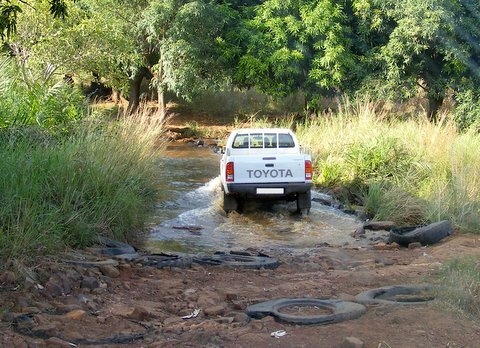 From there, it’s a few clicks on a dirt road, so a 4×4 is advised! I’ve no idea what it commemorates or why it is in such an obscure location where few people pass, but there you go! 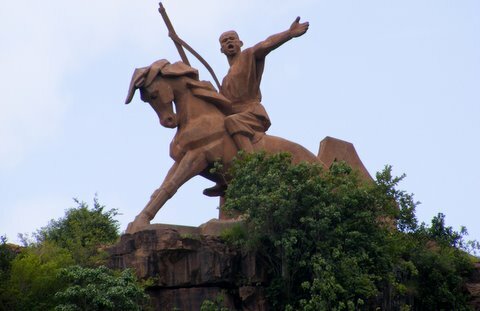 Of course, if you like equine monuments, you could also check out this one, at the Hippodrome in Bamako as well as this one, of a ‘river horse’!! At last! 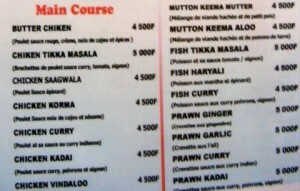 Bamako gets a Curry House!!! 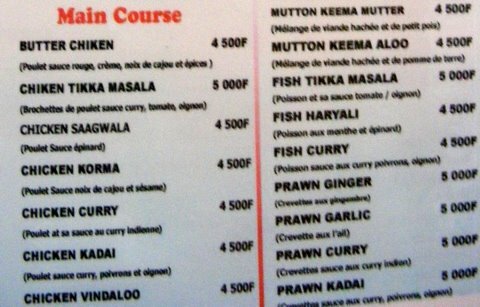 Yes, I came to Bamako a year ago knowing that I may have to go for three years without eating my favourite food! However, this weekend, that all changed! 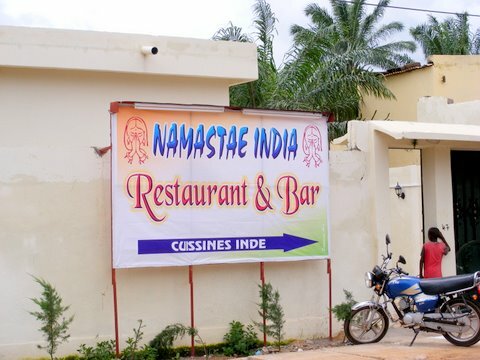 Yes, the ‘Namastae India’ restaurant just opened in Niarela, Bamako, next to the Hotel Dafina. 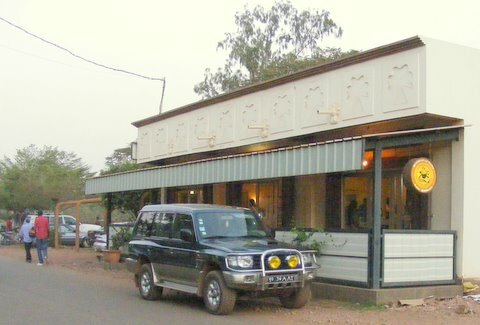 (Click here to view the restaurant’s location on Tim’s Bamako Map). 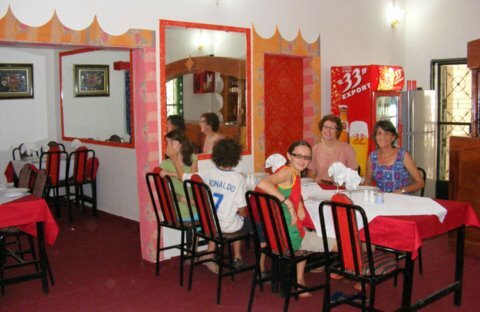 Delicious food and a pleasant, air-conditioned restaurant. Bit pricey, but no more than you’d pay in the UK. 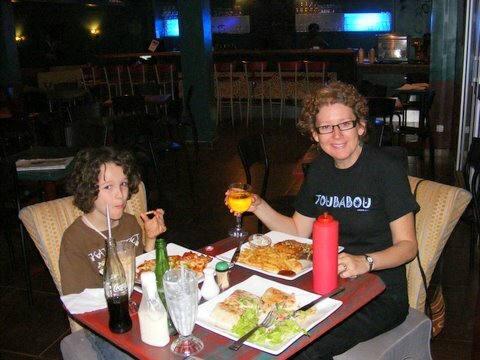 Of course, we were familiar with this food for two reasons: not only do we know Indian food well from the UK (where it has a similar status to Mexican in the US) but we also know the owner! 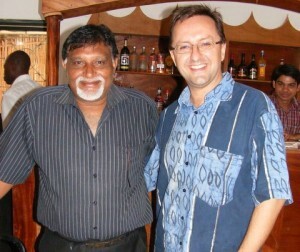 Jacky has had a restaurant in Cotonou for many years, and we ate there several times (even had a Birthday Curry there in 2005!) So, it was great to meet up with the man again (who, incidentally, also has a restaurant in Dakar, Senegal, and is planning on opening one in Ouagadougou too). So, what are you waiting for? Get yourself over to the Namastae for a delicious RUBY MURRAY!! !